Will this site be available on Tapatalk? Yes it will! I just need a day or two to get it installed! (09-07-2012, 06:44 PM)RocketFoot Wrote: Yes it will! I just need a day or two to get it installed! why not use the mybb mobile theme? it's designed specifically for mybb and very nice. Yes, I'll ad goMobile but after we are done uploading plugins! For those using tapatalk...it is now active! 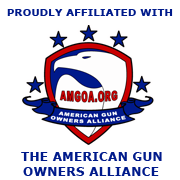 Search for Pennsylvania 2nd Amendment Forums! Let me know if it works...I had to kill tapatalk on my phone to save memory! Ok how does tapatalk work? (09-07-2012, 11:54 PM)Normanvin Wrote: Ok how does tapatalk work? (09-07-2012, 11:39 PM)RocketFoot Wrote: Yes, I'll ad goMobile but after we are done uploading plugins! It's working! I just logged in on my phone, looks good. See, this is what Dan needs to do on PAFOA. It was effortless to install wasn't it?